The Walt Disney Company announced last July it would move its offices from the Upper West Side to Hudson Square after buying the rights to develop a property owned by Trinity Church. For $650 million, Disney plans to develop 4 Hudson Square, which currently contains four buildings. 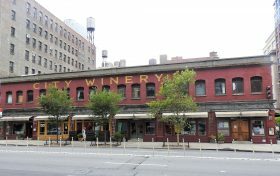 One of those buildings was occupied by City Winery, an entertainment space whose flagship has been located at 143 Varick Street for over ten years. Now after being forced to relocate because of the deal with Disney, the venue’s owner, Michael Dorf, is filing a lawsuit against its landlord Trinity Church seeking over $2 million in damages for “misleading” information. 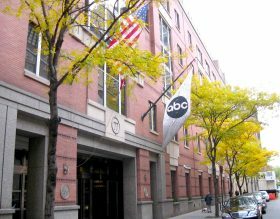 The Walt Disney Company announced Monday it will move its operations from the Upper West Side to Lower Manhattan, where the media giant is planning to build modern production space and offices. Disney purchased the rights to develop Trinity Church’s property at 4 Hudson Square for $650 million under a 99-year agreement. The site covers a full city block, bordered by Hudson, Varick, Van Dam and Spring Streets. William Noble would roll over in his grave if he knew the fate of his beloved private residence. The prominent developer built a cluster of spec homes toward the end of the 19th century and chose 247 Central Park West for himself. This 10,745-square-foot home’s impressive history continues as it was once the home of Walt Disney’s grandniece and it remains one of the few single-family homes on Central Park. However, history turns a bit sour beginning in 2006 when Keith Monda, president of Coach, purchased the home and spent a year renovating it as a gallery for his art. He sold the remodeled home to Ukrainian businessman Igor Iankovsky in 2012. Iankovsky apparently never moved in, preferring his French residence instead, and he has been trying to sell the home ever since. We’re not sure if it’s the renovation’s mixed reviews or the sky-high prices, but for some reason this home toggles back and forth on the sales and rental markets. 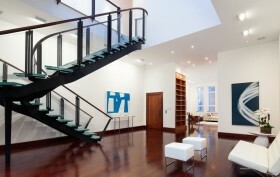 Well, now it’s back with another price drop, asking $27.75 million or $65,000 a month.